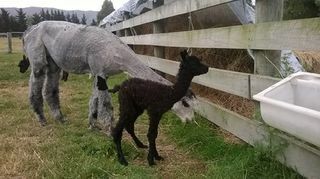 A very pretty little dark fawn female for second time mum Lazu. Albury was named by the local rural school children from Albury school when the entire school of 38 students came for a day out. 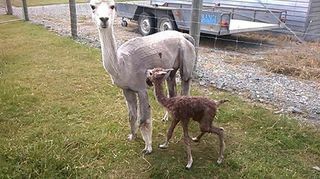 This is Jade's first cria and small but very healthy little black female. 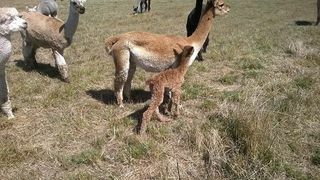 Sun Crystal is growing rapidly and is now the same size as all the others. Siana is a very experienced mum and this little boy is the prettiest tuxedo grey I've ever seen.He's been named Yang Yang meaning sunny. 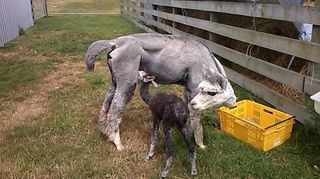 A pretty little tuxedo grey male born on 3rd Feb 2015. 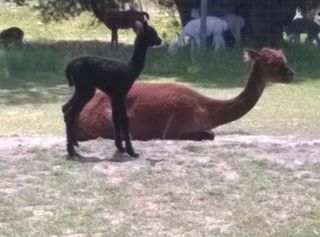 He's been named Mei Mong which means Happy Dream. 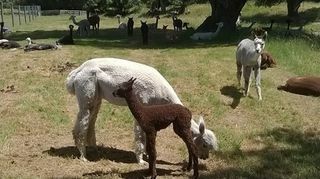 Grass roots info on alpaca in general. 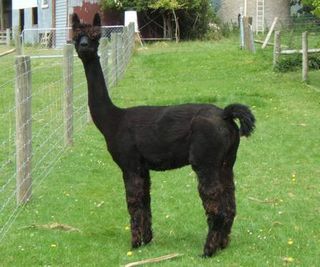 Visit the husbandry page if you are new to Alpaca and want some good basic information. 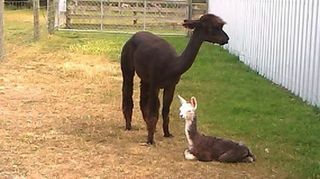 Our online store for everything alpaca. 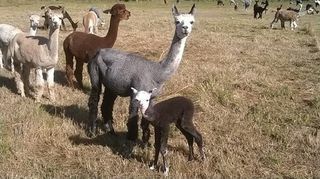 We also have our own shop right here on the farm at 18 Nixons Road, Fairlie. 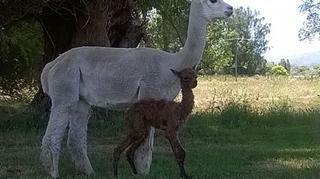 Female alpaca at realistic prices. Get in on the ground floor without spending a fortune. 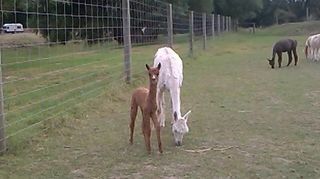 Farm Tours, come into the paddocks and get up close to our camelid friends. Chinese New Year time is very busy for us on the Farm Tours. We've had a brilliant summer for holiday makers this year.